today i have Probelle Into The Blue to share with you all! i got it in this month's ipsy bag :) i haven't been doing posts on what i receive in my ipsy bags in awhile, should i bring them back? Into The Blue is a medium blue creme... and one of those devils to photograph! my camera always wants it to come out bright blue... no idea why. it goes on easily and is fully opaque in two coats. my problem was it refused to dry fully on me! i usually do topcoat right after i finish with the color, but i got involved in the saddle situation, and after an hour they were still smudgy. you can see on my ring finger that there are a few wrinkles... i suspect that is from the polish not being very dry when i added topcoat! i will say that getting polish to dry on me without topcoat is very difficult, no matter what brand you use. Into The Blue dries pretty shiny on its own, but looks even better with topcoat. plus, if you're like me, you will definitely need topcoat to dry it! two coats Into The Blue, one coat Salon Perfect Crystal Clear Top Coat (press sample). 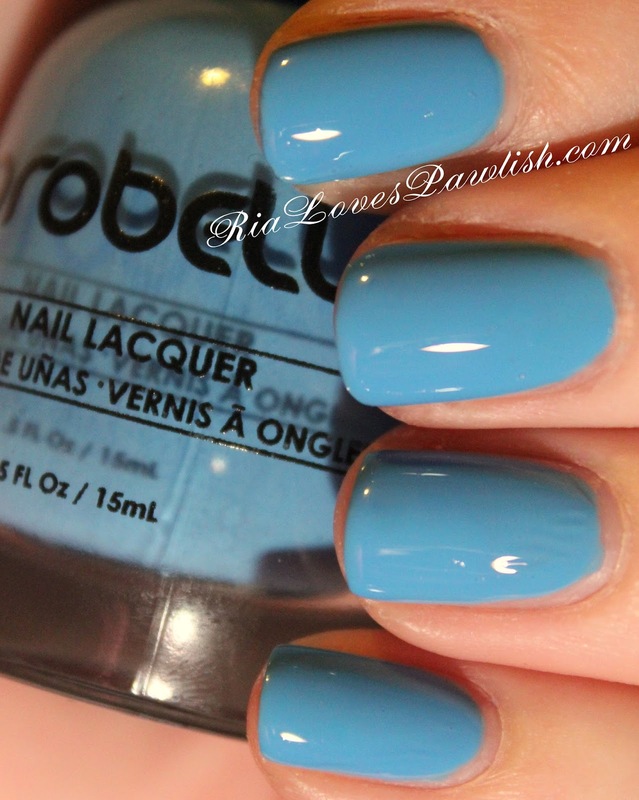 i had never hear of Probelle, but found their website, www.pro-belle.com, by Googling them :) their polishes retail for $6 and free shipping over $20! Into The Blue is on the site. heading out now to pick up the saddle... found out another guy at my barn had the saddle last week on trial! oh, if only i'd known!